Jacob Bradshaw | BMSS, LLC. 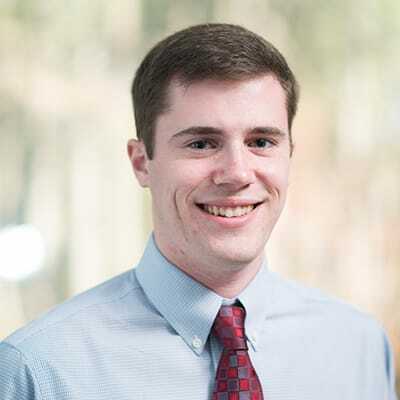 Jacob joined BMSS in 2016 as an intern and became a full-time staff accountant in 2017. He works with a variety of industries and specializes in the preparation of audits, employee benefit plan audits, reviews and compilations. Known by his coworkers as being patient and practical, Jacob always tries to follow his personal philosophy of listen, work hard and treat everyone with respect. His favorite quote is “If it doesn’t challenge you, it won’t change you.” This reminds him that if he wants to grow and develop, then he must go outside of his comfort zone and push himself beyond what is normal or easy. Jacob grew up in Vestavia Hills with his parents and three older siblings. In his spare time, he loves to golf, run, travel and spend time with family and friends.